Triple Play 97 video game (for Windows 95 or MS-DOS computers) autographed in blue marker on the box by the late, legendary San Diego Padres Hall of Famer Tony Gwynn. The box was crushed, but is still in displayable condition. 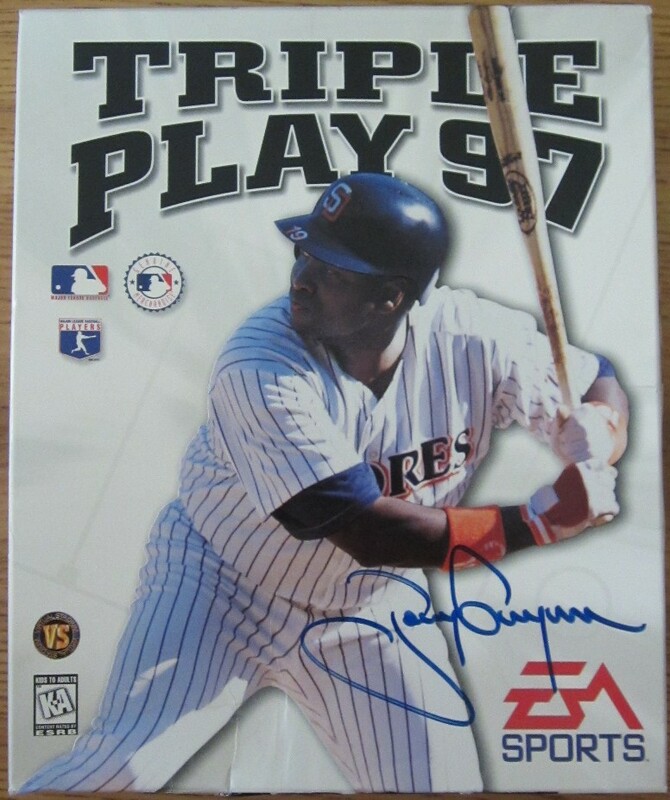 The game CD-ROM and all original contents are included but not autographed. Obtained in person, with certificate of authenticity from AutographsForSale.com. ONLY ONE AVAILABLE FOR SALE.